Francesca Helm is assistant professor of English at the Department of Political Science, Law and International Studies, University of Padova in Italy. Her research research interests are in the fields of global studies, internationalization of higher education, foreign language education, language policy, identity, intercultural dialogue and Virtual Exchange. She was on the Executive Board of the EUROCALL association from 2011-2017, and is now a member of the Executive Board of the UNICollaboration organization. She is currently leading the Monitoring and ​Evaluation in the European Commission’s recently launched Erasmus+ Virtual Exchange project. The potential offered by information and communication technologies, pedagogical research, the general expectation that students can and should participate more in their own learning process, widening of access and participation, as well as the use of relevant resources outside the boundaries of Academia, all point to the central importance of developing Education Innovations in various forms in the pursuit of enhanced teaching and learning. The working group develops its actions around exchanges of experiences, best practices and also organises seminars (active workshops) on different issues pertaining to enhanced teaching and learning activities. Outcomes of these activities are shared on the website of the WG. In addition, the group proposes or contributes to policy documents on higher education issues. Recent years have seen an increased focus on assessment and feedback in many European countries, triggered by the development of teaching and learning activities that support student-centred learning. 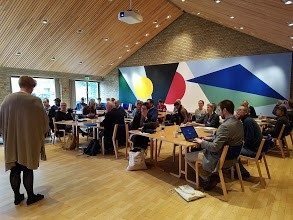 The WG held a “Seminar on Assessment of and for learning” at Aarhus University in Denmark in February 2017, and an outcome of this is the White Paper which was adopted by the WG in April 2018 and subsequently submitted to the Coimbra Group Executive Board. Assessment of Transversal Skills was the theme of the Seminar held at Louvain-Le_Neuve in April 2018. As a follow-up to the Seminar, the WG has produced a white paper on “Current trends in assessment in Europe”, including future recommendations. The publication features different cases and practices in formative and continuous assessment and the pros and cons of different forms of such assessment. 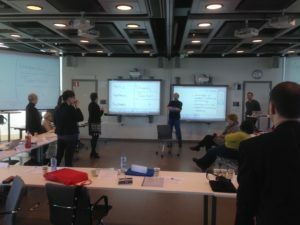 Virtual Exchange and Mobility has been a theme of the group’s seminars and activities and is closely linked to Internationalisation of the Curriculum, currently a relevant theme in education policy. An output of the Pavia 2016 Seminar was a statement for the European Commission’s Feasibility Study on Erasmus+ Virtual Exchange. We are currently partners in the EVOLVE policy experimentation project (Evidence-Based Online Learning through Virtual Exchange) led by the University of Groningen. 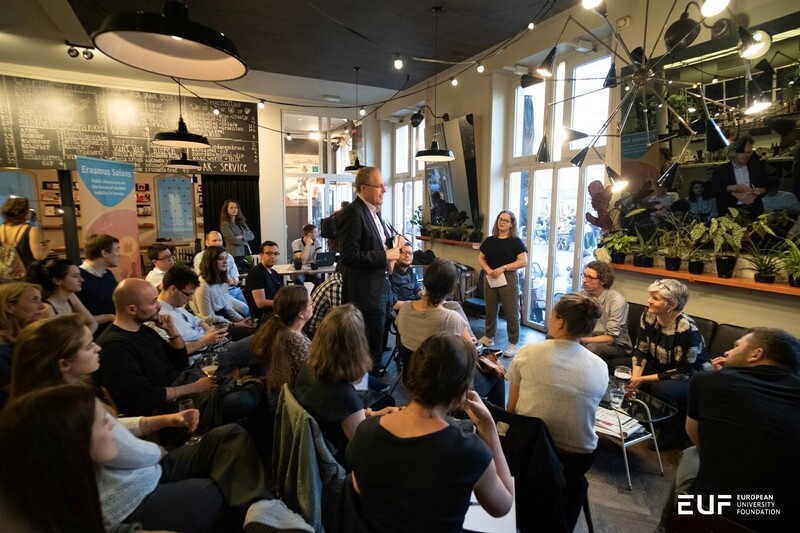 In April 2018 we were invited by the European University Foundation to discuss Erasmus+ Virtual Exchange in their 4th Erasmus Salon, organised at a café in Brussels. Erasmus+ Virtual Exchange is currently being piloted in several CG universities. The WG has started a series of webinars on questions related to education innovation in the broad sense, and recording of these webinars are accessible from the webpage of the WG. The first was on flipped assessment with Arild Raaheim (Bergen university), the second on Virtual exchange and internationalisation at home by Sarah Guth and Francesca Helm (Padova university). The benefits and challenges of International Higher Education is also the subject of another recorded conference given by Mary Clarke from RCSI (Ireland), and jointly organised by the WG on Education Innovation and the Louvain Internationalisation forum. The Working Group has launched a project with the aim of sharing information on innovative approaches to teaching and learning. The project intends to facilitate knowledge transfer and foster possible collaborations among member universities by creating a special webpage on Good Practices of Teaching & Learning Innovation. Learning spaces was the theme of our first active workshop. important experiences on good practices of innovative teaching in new learning spaces are rapidly, accumulating, research is growing, and the staggering amount of money that is being invested throughout Europe in new buildings for teaching and learning makes it more important than ever to promote the effective use of the opportunities offered. A web-based resource and a network on this theme within the CG universities will soon be offered.